The ASI Show: Exciting, Sales-Building Events for Advertising Specialty Professionals! 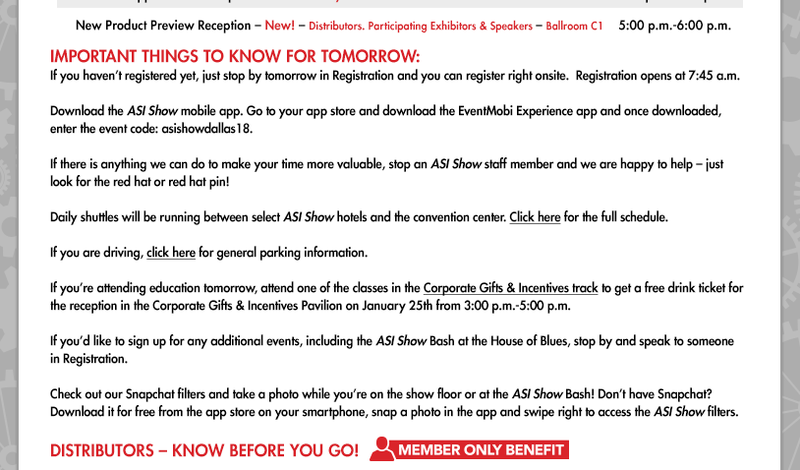 Here’s what’s happening tomorrow at ASI Show Dallas! Having trouble seeing this e-mail? Click here for a web version.